Heeler Cycles offers custom steel bicycle frames for those who are looking for a frame that meets their unique needs. The process begins with our stock Mountain frame, to which any adjustments can be made to meet your needs. Want a 29r single speed with stainless steel rocker dropouts? No problem. Or maybe you like the feel of 27.5", but want the option of geared or single speed in a single frame. We can accomplish any of these (and more) and still keep the look and feel of a Heeler frame. Framebuilding is an elegant process combining many skills that take a long time to perfect. 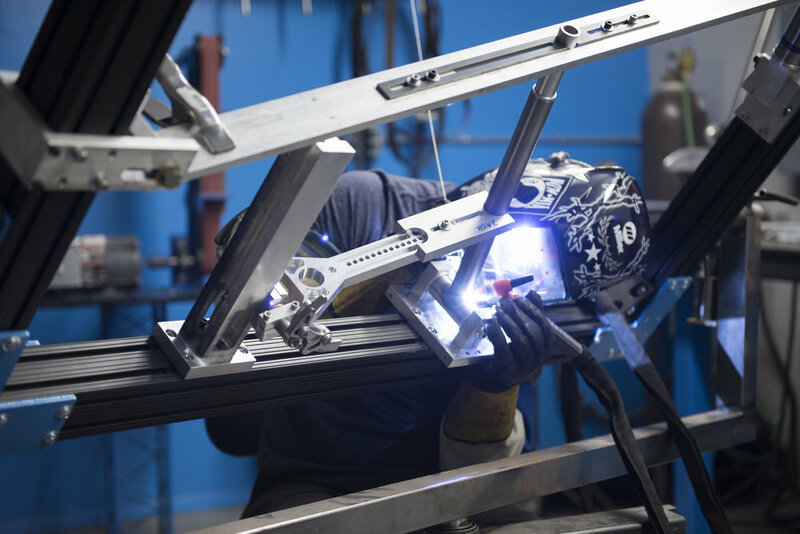 Heeler frames are built by hand, one frame at a time. Each detail is meticulously looked over in a very un-rushed manner. For this reason, frame lead times can be 6 to 10 weeks. Heeler frames are made from steel butted tubes (selected for each rider) and beautifully TIG welded in Tucson, AZ.